Phew! It has been a busy week here! The weather is FINALLY warming up, which means I was able to get outside and do some much needed gardening. We just moved into this home a little over a year ago, and the previous owners had built planting beds all around the house, but they were neglected and just plain ugly! So I knew it was time to build a berry patch! Doesn’t it just look lovely? 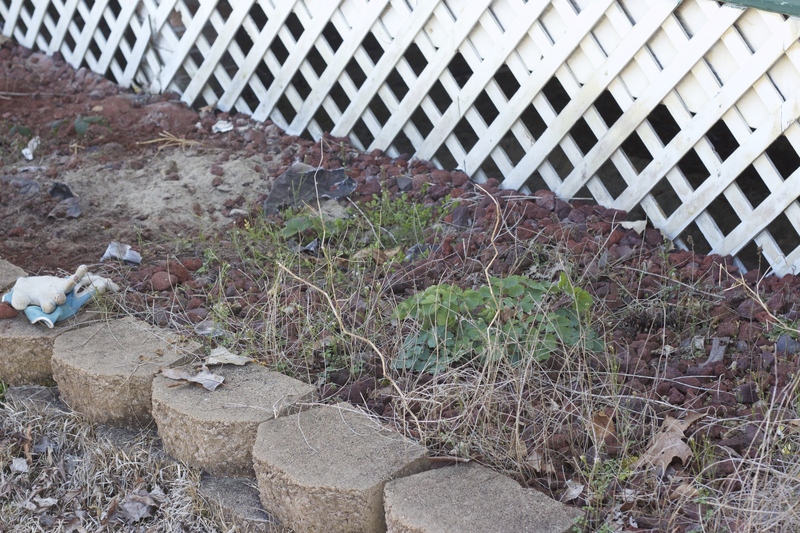 Over grown weeds, and missing rocks! When planting anything, there are a few key ingredients to having a successful garden. Choose your planting area and watch it throughout the day. How much sun does it get? Is it a shady area? Prepare your planting area. You can read more about that here. It took two days to remove all of the rocks, but it was worth it. 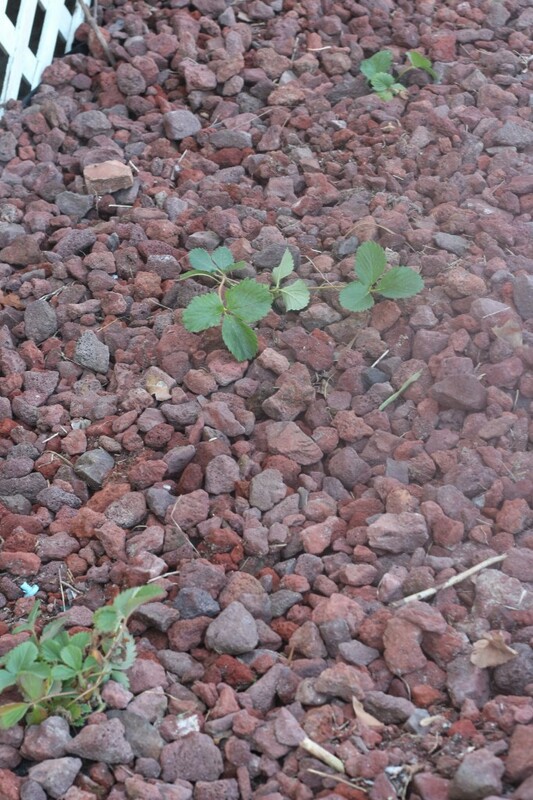 I was even able to salvage a strawberry and blackberry plant that was already there! Choose your plants. 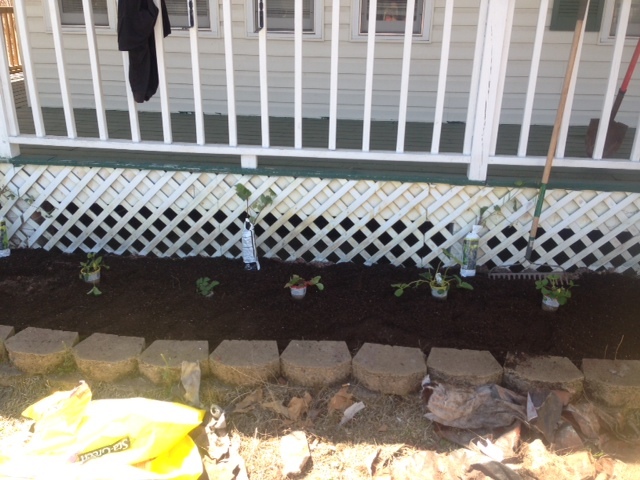 Since I already have blueberries and blackberries planted on the other side of the house I decided to do strawberries and grapes in this planting area. Be sure to read about the different verities of plants and decide which plants will work best for you. We chose Ozark, Quinalt, and Guardian strawberries for this project. After getting the area prepped for planting decide on how many plants you want. This is where researching comes in handy. Measure out the area and read about how close each plant can be planted together. This will help to decide how many plants can fit in the area and reduces the chance of over or under buying plants. Before planting, stage the area. Place each plant where you want it while it is still in the pots. That way you can make changes without stressing the plant. Finally, get to planting! 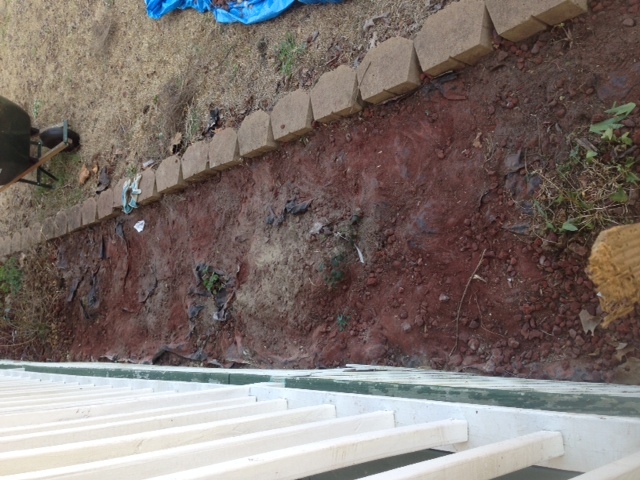 I like to lay down a weed barrier to reduce having to go out and pull weeds. Do not skimp on this, or you will be replacing it every year, which is a pain! Be sure to water the plants well after planting, to help them get settled and rooted. After we planted, we put all of the rock back that removed and ended up with extra rock some how. 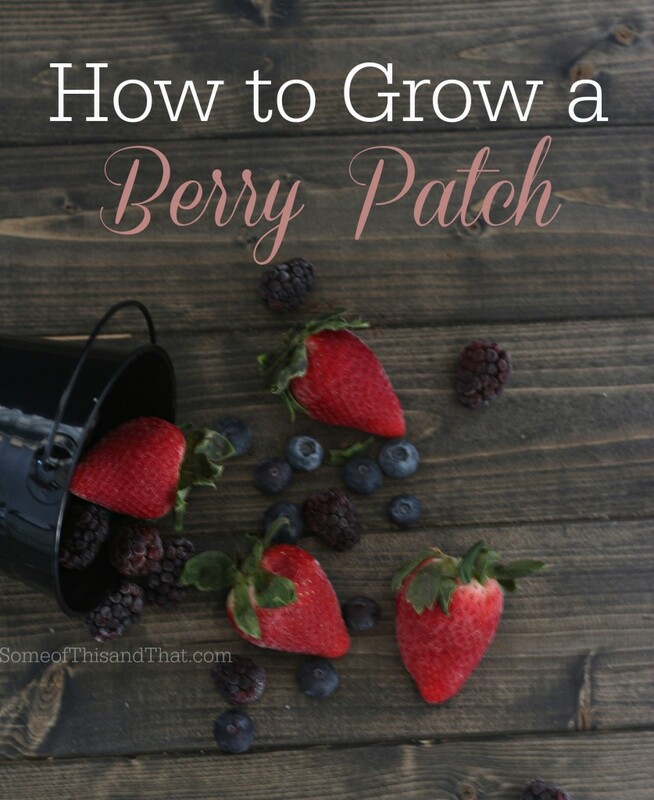 So, now that you have your berry patch planted there are some things to keep in mind. First, during the first year, remove any flowers from the plants. I know… I know. It will be hard. But by removing the flowers you are allowing the plants to concentrate on growing stronger and larger. If you allow it to flower, then it will use all of its energy producing fruit. Second, keep the area watered. Plants are fragile after being planted, ensure they have plenty of water and don’t dry out. Jafar always gives me funny looks when I am gardening. 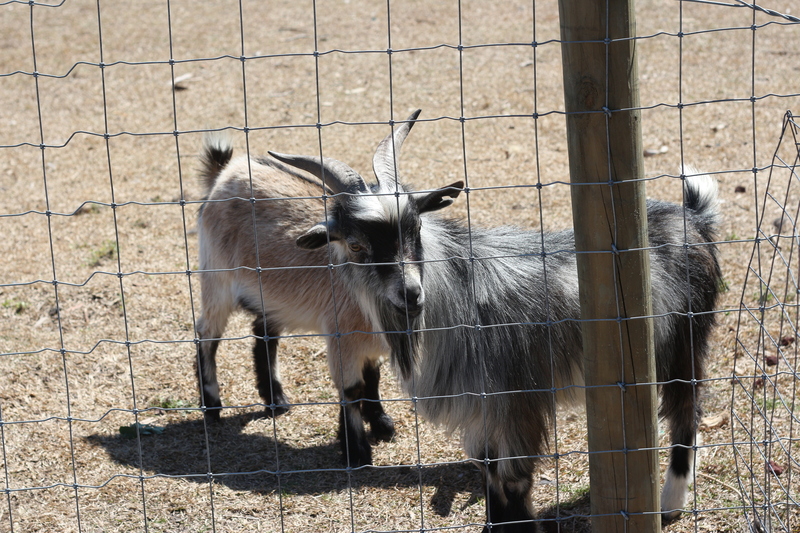 Your goat looks like it has 2 heads:) Thanks for this post! I love berries!! Will have to pin this for later use! thanks for posting!